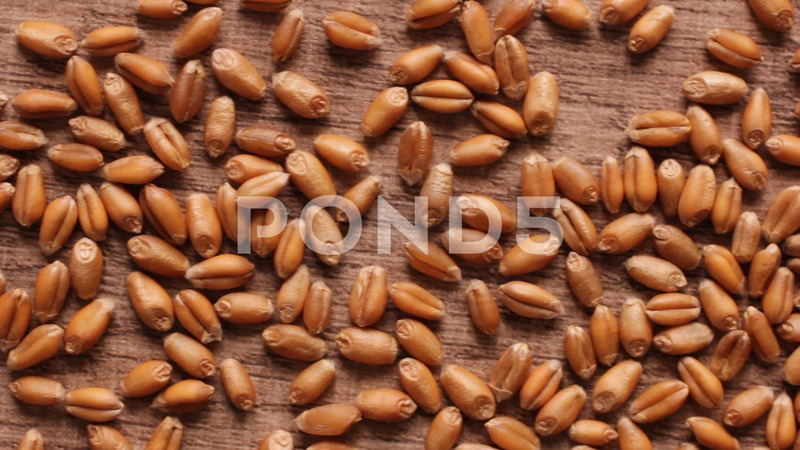 Wheat Grains On A Wooden Table. Close-Up. Panning From Left To Right. Description: Grains are scattered on the table. Triticum aestivum is scientific name of Wheat cereal grain. Also known as Trigo. Wheat grains on a wooden table. Close-up. Panning from left to right. panorama.